John Heatwole | Blackstone Valley Wealth Management, LLC. John joined Blackstone in 2017 after more than a decade of serving institutional clients in the mutual fund industry. A Massachusetts native, John moved to Boston, MA upon receiving his degree in Finance and Economics to begin his financial services career. Within the financial services industry he has held several analytic and management positions including bond and equity valuations analyst, manager of security valuations as well as serving as an equity data manager. 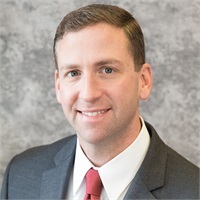 He joined Blackstone Valley Wealth Management to enrich the client services being provided by Jim and Gregg as the practice continues to expand. His support is client focused embracing the theme of building successful long term client relationships. John proactively assists the financial advisors with client services as well as meeting with clients to better understand their needs. After only a few short months with Blackstone, John completed the College for Financial Planning program and received the Financial Paraplanner Qualified Professional™ designation (FPQP™). John lives in Auburn, MA with his wife and two daughters. When not servicing clients, he enjoys coaching his daughter’s sports teams, hiking and skiing with his family as well as exploring the back roads on his motorcycles.